There are a wealth of free materials that can be used to support this topic. Here are a couple of ideas with links to more. The Create activity: Islamic Design �- nice work on coordinates, reflection, rotation and translation (4 page pdf). 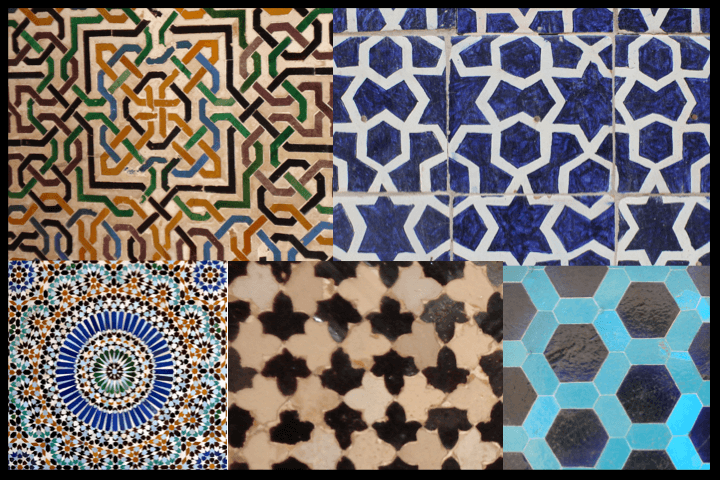 Resources from the School of Islamic Geometric Design by Eric Broug - excellent website with resources and information ready for the classroom, templates, teacher pages etc (based in Halifax in the UK) - contact details too! Many more ideas are given on the original page available here. 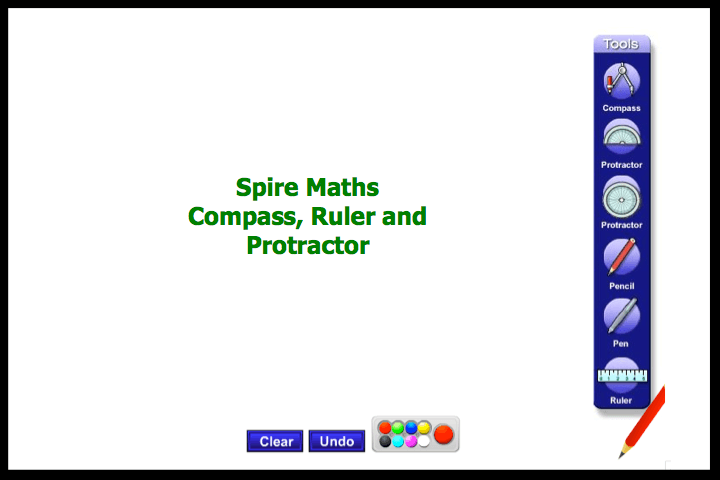 The Compass, Ruler and Protractor flash file can be used live (but work�cannot be saved). Unfortunately as it is a flash file it will not work with iPads and iPhones. Can also be used with any on-screen video maker (such as that found in ActivInspire or Smart Notebook) to create videos for classroom demonstrations. The pencil here works as a straight edge; the ruler can be used to measure. For original site go here.